Warm, moist air is filled with dust, spores, mold, and other particles. With spring on the way and temperatures getting higher, the conditions for these allergens will be ideal; this leads to allergic reactions and discomfort in those sensitive them. One way to fight against dust and mold spores is to get a dehumidifier that pulls excess moisture from the air. Below are five reasons to install one today. If you notice mold stains on your walls and ceilings, especially in moist areas like the bathroom, your home needs a dehumidifier. There are many types of mold, but some are more harmful than others. For example, black mold is toxic and can cause upper respiratory issues. After scheduling remediation services, good ventilation coupled with drier air will remove excess moisture and curb a mold problem. When you or your family members seem to be ill often, your indoor air quality is probably not ideal. Dust, dirt, and mold spores will trigger allergies, especially in those with compromised immune systems and asthma. Minor allergies can turn major, making your family feel miserable in their own space. A dehumidifier can help reduce the amount of particles circulating in your home. Have you noticed your windows have tiny beads of water on them even if it has not rained recently? 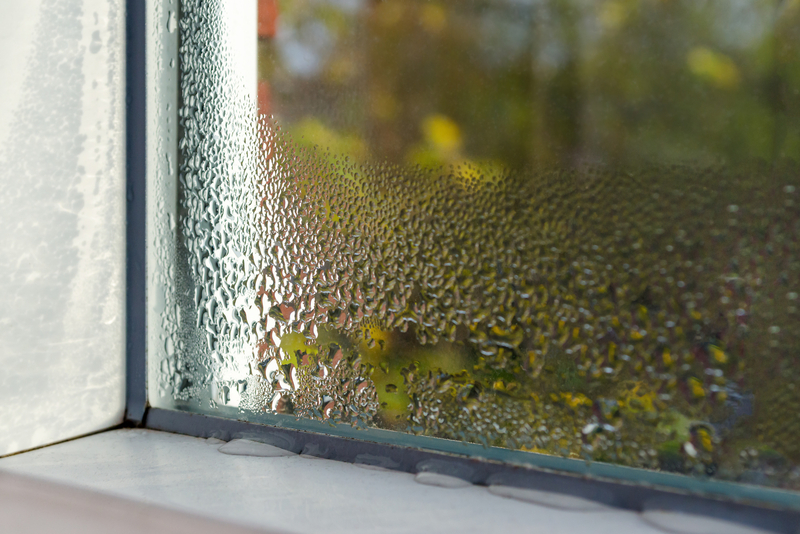 When the area has too much moisture, condensation will build up on glass—especially if your seals are not in optimum shape. Too much moisture leads to mold and mildew. No matter how much you clean, your property still smells musty. This is due to the presence of mildew and mold, which thrives in a moist environment. Mold and mildew can even get into your vents, which will then blow throughout your home. Install a dehumidifier, and call for vent and duct cleaning to purge any trouble. While most water stains are the result of a plumbing problem or roof leak, a home with too much humidity will only make your water damage issue worse. Call to repair the source of your water problem, but install a dehumidifier to slow down staining and the development of mold spores. Serving Wisconsin Rapids, WI, and surrounding areas since 1953, Guelzow Heating & Air Conditioning Service is the top choice for dehumidifiers as well as duct cleaning, AC installation, and furnace repair. Whatever your heating and cooling needs may be, their qualified technicians are fully trained to assess your situation and repair or replace your equipment. When you are ready to boost your home’s air quality, call (715) 423-1086 for a free estimate. Visit them online for more on their emergency 24-hour services.